Seaman Corporation, through its own in-house research and development, has created the XR® QuikLiner™ product in order to bring new technology to precast concrete corrosion protection systems. 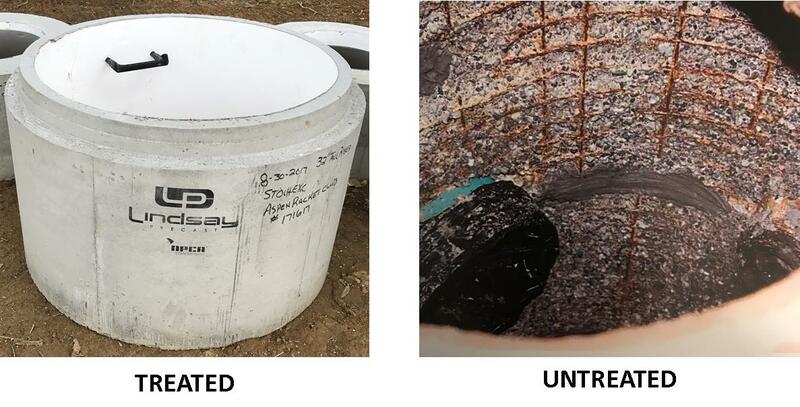 Designed to provide concrete protection and containment of wastewater in precast products such as septic tanks, manholes, and grease interceptors, XR QuikLiner is easier, faster, and more cost effective to use and doesn’t have the waste and mess associated with epoxies and other applied coatings. New corrosion protection technology for use in the precast concrete product business is not common. For years, precasters have been forced to accept the same precast concrete solutions: applied coatings, chemical admixtures, and rigid liner systems. XR QuikLiner provides precast concrete corrosion protection and containment of wastewater in precast products such as septic tanks, manholes, and grease interceptors, offering precasters some of the best attributes of the existing systems in one new and innovative product. To compare the existing precast concrete corrosion protection system attributes with the XR QuikLiner product, view our comparison guides. Interested in learning more about XR QuikLiner? Check out our additional product information sheets or contact us to learn more about our precast concrete protection and restoration solutions.